You have probably heard by now the devastating and shocking news that broke this past weekend about one of the largest and fastest growing churches in the United States. 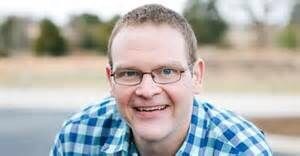 Newspring Church, based in Anderson, South Carolina, announced this past Sunday that as of July 1st Senior Pastor and founder, Perry Noble, was relieved of his duties. Here is the statement posted on the NewSpring Church website. After a few days of silence, Perry Noble posted a video on his FaceBook page. As a member of NewSpring Church and someone who has done a semester long internship there, this came as a complete shock to me. Because of my internship, I had the privilege of meeting Perry a few times. From my experiences, I have nothing but great things to say about him. He seemed like a genuinely good guy to me. Right now Perry needs our prayers and support. We all have our demons and struggles that we battle with every day. And sooner or later, we will find ourselves just like Perry needing the prayers and support of others to help us make it to the other side. So take some time right now to lift Perry up in prayer. Because I’m sure if you were in his situation, he would do the same for you.